Lucy has been dancing at JC Dance for almost 10 years and has tried different classes over the years, as her interests changed. She is currently attending Tap and Limbering classes. Lucy has been chosen as our very first Student in the Spotlight because she has excellent attendance and commitment, in class always has a positive attitude (even if she is finding something tricky, she keeps her smile!) and is naturally helpful and encouraging towards her class peers. 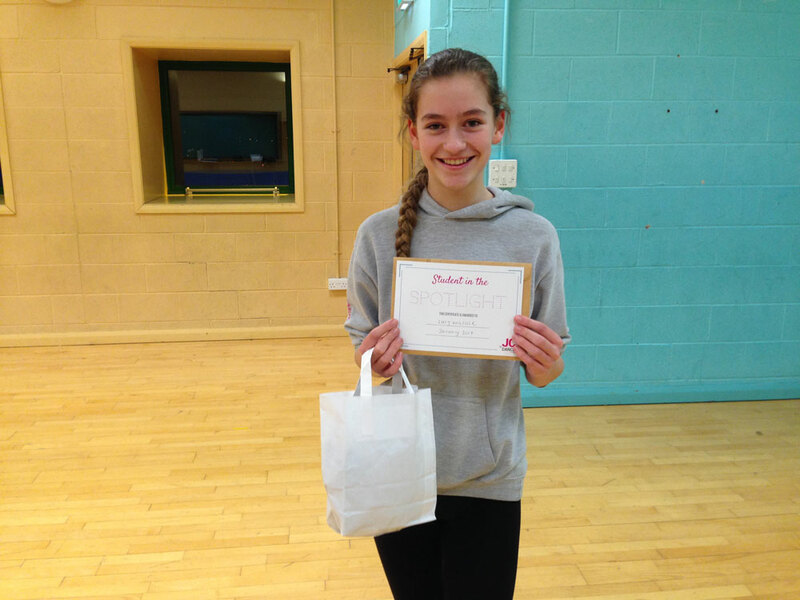 Here she is with her certificate and winners t-shirt… Well done Lucy!